Irritable Bowel Syndrome (IBS) can have a significant impact on individual's social, personal, and professional life. Homeopathy offers proven treatment for the IBS which treats the Mind and Body connections. What does the IBS treatment do? Dr Rajesh Shah, M.D. has been working on various chronic diseases including Irritable Bowel Syndrome (IBS), since 1984. His research-based molecules have international patent pending. His unique treatment protocol is made available to patients world over. At this point, there are patients from 127 countries under Dr Shah's care, which has been a world record. Most patients report improvement in about eight to ten weeks. Dr Shah's IBS treatment expertise is made available online to patients all over the world. Please click here to learn more. It is the experience of homeopathic practitioners, the world over for past 200 years that Homeopathy can play a prime role in the management of all sorts of mind-body sufferings. From our previous discussion, it can be recalled that in IBS the way the digestive tract works is disturbed i.e. to say it is a functional disorder. The Homeopathy medicine works at the deeper level, bringing the deviations of harmony among various systems of the body back to normalcy. The homeopathic medicine establishes a good communication between the brain and the gut thus ensuring proper relay of signals. The positive outcome of this is that the motility of intestines becomes regular and rhythmic thus relieving complaints of either diarrhea or constipation or both. Moreover, Homeopathy improves the pain threshold of an individual thus alleviating symptoms of pain and cramps associated with IBS. Homeopathy medicines work at the deeper level of an individual to root out root causes. The two factors that are triggering causes of IBS are emotional stress and exaggerated sensitivity to food items. Homeopathy has very well perceived the influences of the psyche on the physique of an individual. Homeopathy medicines positively influence the emotions and thinking of an individual so that the person can cope with stress optimistically. Homeopathy medicines have proven efficacy to manage mental stress and its offshoots like IBS. Moreover Homeopathy medicines aid in minimizing food sensitivities and allergies. Homeopathy is a scientific medical alternative for treating a wide range of chronic ailments, one amongst them being IBS. It should be emphasized that Homeopathy treats the patient as a whole and not just the disease. The basic approach in homeopathy is to evaluate the disease of IBS in its whole extent, whereby a lot of emphasis is given to the patient as a whole besides minutely studying various aspects of the irritable bowel syndrome. Every patient of IBS is evaluated as an individual case and treated as such. While making the case analysis of IBS, patient's most minute details about the presenting complaints are noted carefully, as regard to the severity of diarrhea, constipation, complaints regarding abdominal pain, cramps, presence of mucus in the stools, associated complaints like nausea, heartburns, distention, triggering factors, findings of laboratory studies, etc. Besides, a greater deal of emphasis is given to patient's individual features such as eating habits, food preference, thermal attributes, and sleep pattern. The study of the patient's mental and emotional spheres is conducted meaningfully. Furthermore, patient's history of past diseases and that of the family diseases is understood to know the miasmatic background of the patient. There are over 3000 medicines in homeopathy used for a range of problems. About twenty or more are often indicated for the cases of IBS. 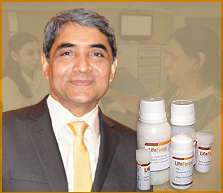 To know more about Homeopathy medicines click here. Homeopathy is very effective in all stages and variants of Irritable Bowel Syndrome. Homeopathy can effectively take care of the symptoms of IBS including diarrhea, constipation, pains, distention, etc. Homeopathy medicines positively influence emotions, making an individual strong enough to lead stresses of life more positively. It significantly helps to reduce the relapse and recurrence of the condition. It treats the disease from the root and not merely superficially. The duration of Homeopathy treatment varies from person to person and depends upon the duration of disease, previous use of conventional medicines, the general condition of a patient, etc. It is absolutely safe, harmless, and non-toxic. It does not interfere with other medicines.